When rumors about a new Mega Man collection started floating around I think most people assumed / hoped it would be for the Mega Man X games. We already got the “good” original Mega Man games in the first Mega Man Legacy Collection, and MM 9 and 10 are backward compatible on Xbox One (sorry PS4 fans), after all, so Mega Man X seemed like the next logical release. Capcom had other plans, however, so here we are with Mega Man Legacy Collection 2 which contains Mega Man 7, 8, 9, and 10 for $20. Yes, that’s fewer games than the first MMLC at a higher price tag. Don’t get me wrong, the games themselves are good and worthwhile, but I still can’t help but feel a little disappointed with this package. See all of the details in our full Mega Man Legacy Collection 2 review. Mega Man Legacy Collection 2 includes Mega Man 7, 8, 9, and 10 all in one package, which is kind of interesting since the original releases of the games spanned multiple generations from the SNES to the PSX and Saturn to the Xbox 360 and PS3. Because they were all on multiple platforms in different eras of gaming, 7 and 8 look and feel markedly different from 9 and 10. It’s honestly a pretty neat collection. It’s not really the collection most people wanted, however. I did say back in my Mega Man Legacy Collection 1 review that I would have liked MM 7-10 to be included, but I meant more as $5 DLC or something, not a $20 new release. That $20 MSRP is a mystery, honestly, as it is more than the $15 asking price for the first collection while offering fewer games and the same price as the newer Capcom Disney Afternoon Collection that also had more games than this. The value isn’t quite here compared to other similar releases. And it’s not Mega Man X, so I’m bitter and whiny. I can admit it. I think a knock against this release is also that it isn’t a collection beloved childhood favorites like the other compilations mentioned above. Mega Man 7 and 8 came out at a somewhat awkward period after the Mega Man X series greatly expanded and built upon the series gameplay, so going back to a simpler and more traditional gameplay style in 7 and 8 felt like a step back. They’re both fine and in no way bad, but neither one reaches the heights of the best original NES Mega Man games. Mega Man 9 and 10 are modern era games masquerading as oldschool 8-bit classics and actually come a lot closer to the NES Mega Man glory days. I don’t think they’re as good as MM 2,3,4, but a lot of people love them. 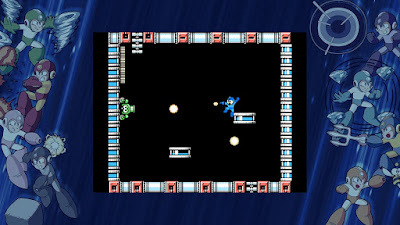 Mega Man 9 and 10 are also probably the hardest out of all of the classic-style Mega Man games, so if you’re looking for a challenge you’ll find it here. Mega Man 10 does actually offer an easy mode, if you need it (I need it). 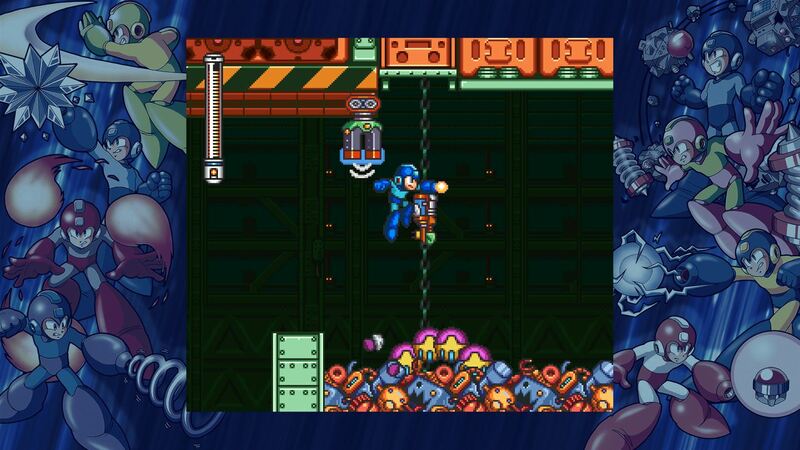 All in all, Mega Man Legacy Collection 2 is a bit hard to judge. In a vacuum you’d say it’s great, but Capcom themselves have released better collections recently and MMLC2 seems pretty weak by comparison. It's 4 OK games at a bad price. Still, if you’re desperate for more 2D platforming and have already played the other classic compilations, you can do a lot worse than Mega Man Legacy Collection 2. Maybe wait for a sale, though.